The amount of information companies store is increasing annually in excess of 100%. In this environment, managed data back up is essential to avoid data loss and to provide an orderly process for data recovery. North American DataCom understands these concerns and is developing a wide range of solutions for companies that require 24x7 data availability with no downtime. 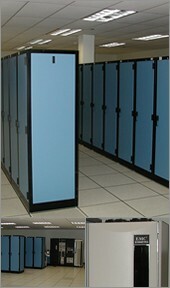 North American DataCom will provide daily incremental back ups and weekly full back ups of your data. In order to avoid detrimental impacts to your critical business activities, we will provide you with the opportunity to select when your data back ups occur. Weekly back up copies will be transported across our highly secure fiber optic network and inventoried at our primary remote offsite storage facility in Iuka, MS. With North American DataCom, you can be assured that your business' critical back up data will be safe, secure, and readily available.